My new Skillshare class is now live! If you are not familiar with Skillshare, it is an amazing community of people just like you and me teaching, learning, and joining together. There are thousands and thousands of classes covering creative, technical, and business topics. Members can watch unlimited classes, unlimited times. It has truly changed my world. If you are not yet a Skillshare member, please accept two months free with the link below! Once you are a member, simply click on class image to the left and you will be taken directly to my class. Beginners: If you have ever wanted to learn to crochet, this class is the perfect way to ease into it. New crocheters often find it challenging to learn the numerous skills required all at the same time. 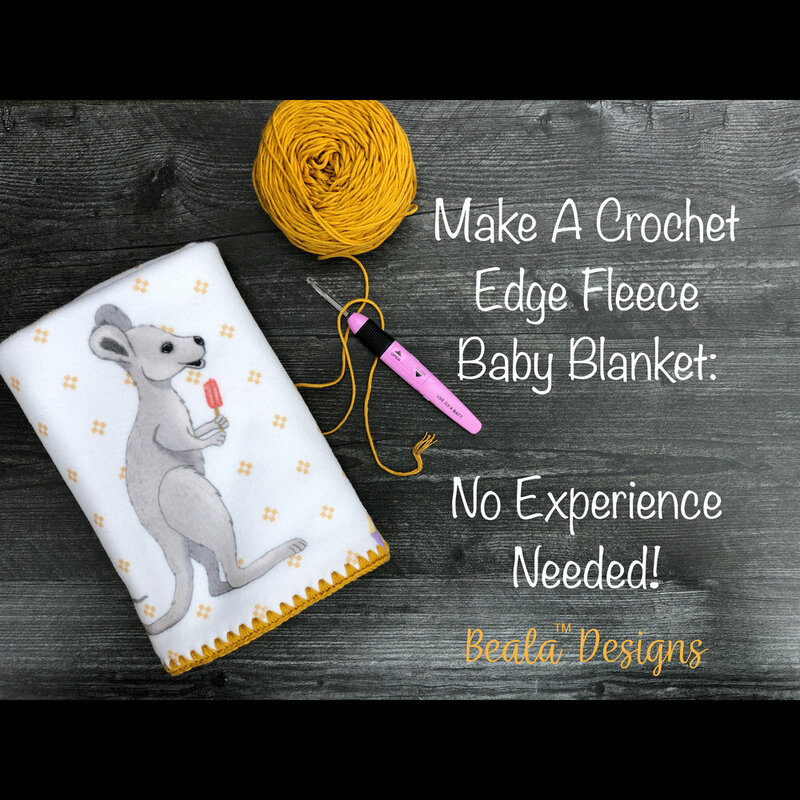 Because this blanket is not entirely crochet, we can eliminate the number of skills you need to master, so you can really focus on learning to control yarn tension - the most important skill. Once you get a feel for tension and develop some muscle memory for the single crochet stitch, the other skills become much easier to learn. By the end of the project, you should have the confidence to move on to a full crochet project without hesitation! Seasoned Crocheters: If you already know how to crochet, this is still a great project to learn. It makes a quick, easy item perfect for gift giving or for selling your Etsy shop.